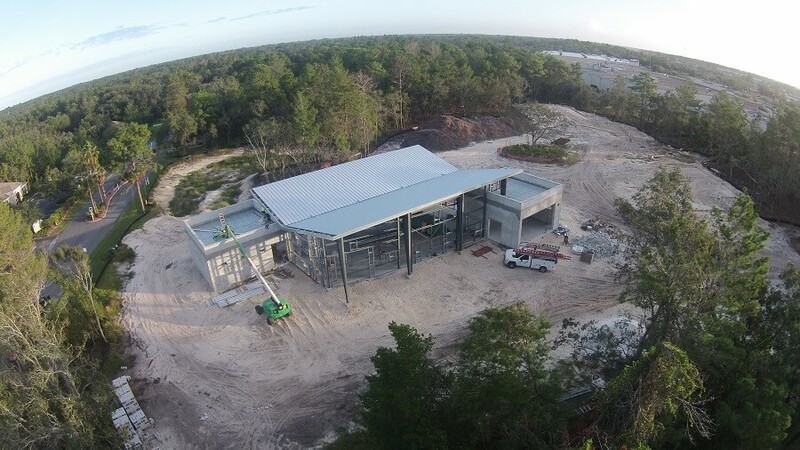 Spring Hill, Florida (November 7, 2017) – WellCome OM Integral Healing & Education Center announces that the project is taking shape. The center will consist of three buildings nestled on six acres of land among beautiful gardens, pathways, and natural habitat to promote an Eco-friendly and sustainable environment. The internal courtyard garden plants have been selected and are being cultivated off-site at the Auro Community Garden, a Natural Farm, and located at Moonlit Road Vineyards. “We will begin the processing of implementing a permaculture process (natural soil preparation) using the organics from the mulch mountain we have after all the infrastructure below ground work is completed,” said Mr. Azdell. According to Mr. Azdell the project is getting a head start on rebuilding the environment and screening the project from the adjacent properties. The perimeter will be planted with a Florida friendly clumping variety of bamboo which will grow quickly and provide a tall, natural and dense buffer. A plan is being implemented to manage the surrounding natural environment as well, thinning out non-native, dying or otherwise weak trees. In addition, the Wellness and Demonstration/Yoga buildings are being fabricated off-site and will be brought in and erected in components like the Auratoriom. The building foundations are in place and the finished floor slab should be placed at this writing. These buildings will have the same sustainable properties as the Auratoriom and will take advantage of internal views to the garden, natural light, and materials as well as screen the property from the adjacent property. A greenhouse is being planned between The Auratoriom and the Wellness and Demonstration/Yoga buildings, which will be used for our hydroponics lab among other organic plants and vegetables and herbs which will be used in the demonstration kitchen. The WellCome Om Integral Healing & Education Center is currently located at 4242 Lake In the Woods Drive in Spring Hill. Call 352-606-2937 for more information.